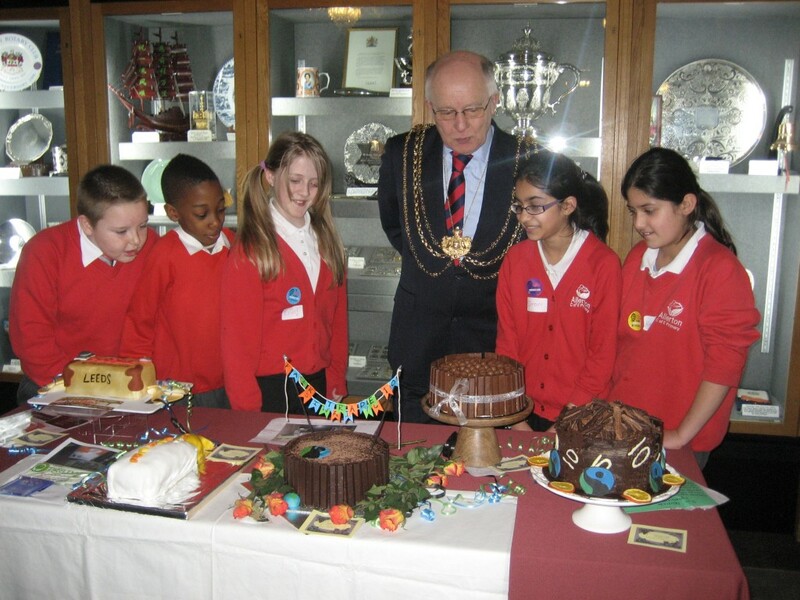 Take a look at some of the cake competition entries – very high standard this year. 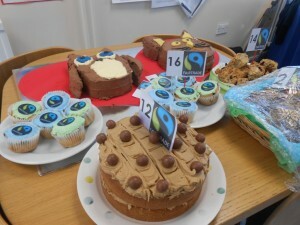 Also a few photos from the Fairtrade Café which was a great success! 3rd – Mrs Willis’s class with Crumbly Banana Squares. 2nd – Mr Lupton’s class with Chocolate Flapjacks. 1st – Mrs Girt’s class with Beetroot and Chocolate Brownies. 3rd – Mya Fearon year 4. The remaining cakes will be sold at break time on Monday for 50p each! Don’t miss our Fairtrade Cafe, in the school hall, on Friday 6th March from 3pm until 4pm. Join us for Fairtrade coffee or tea and cakes baked using Fairtrade ingredients. 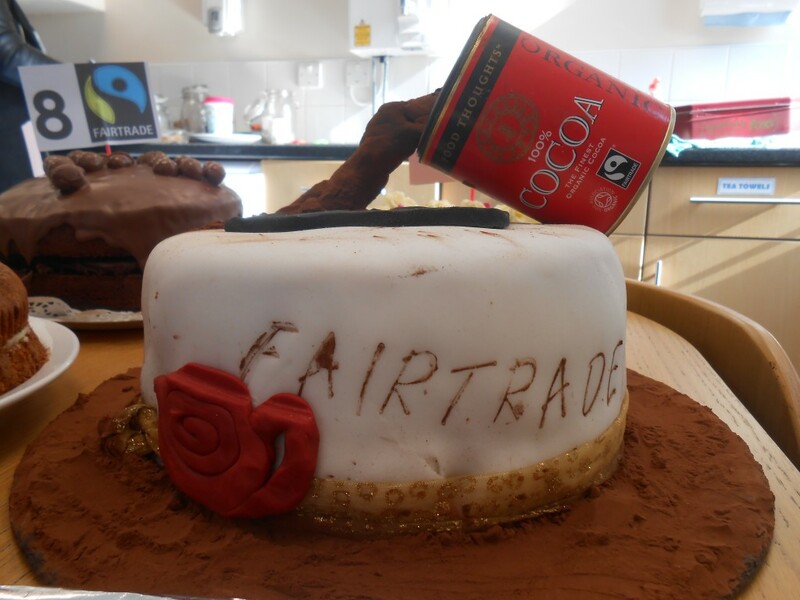 Each class will be entering their Fairtrade cake for judging. 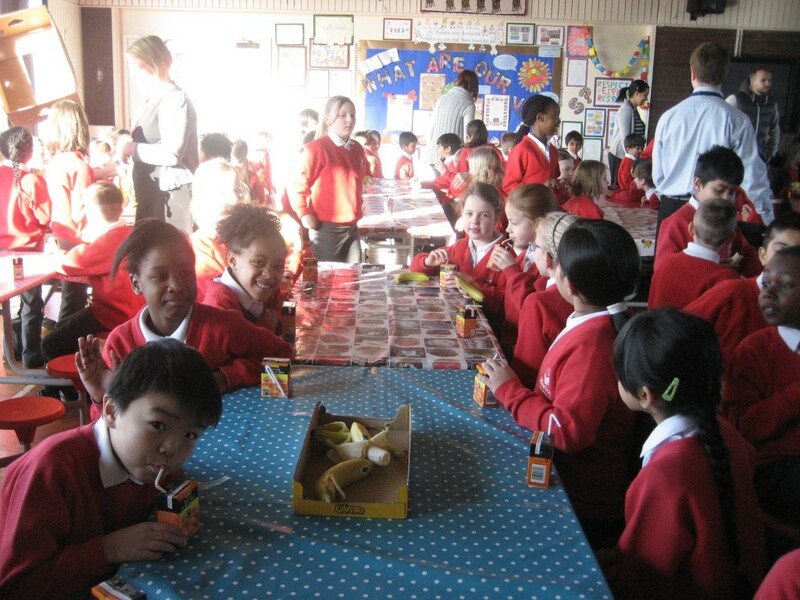 The winning class will receive Fairtrade chocolate for their class to share! 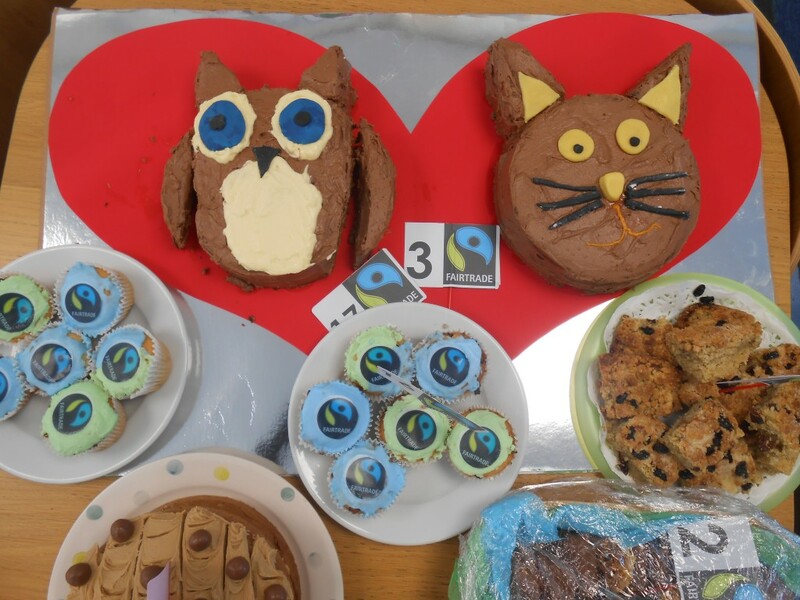 Are you a keen or talented baker? 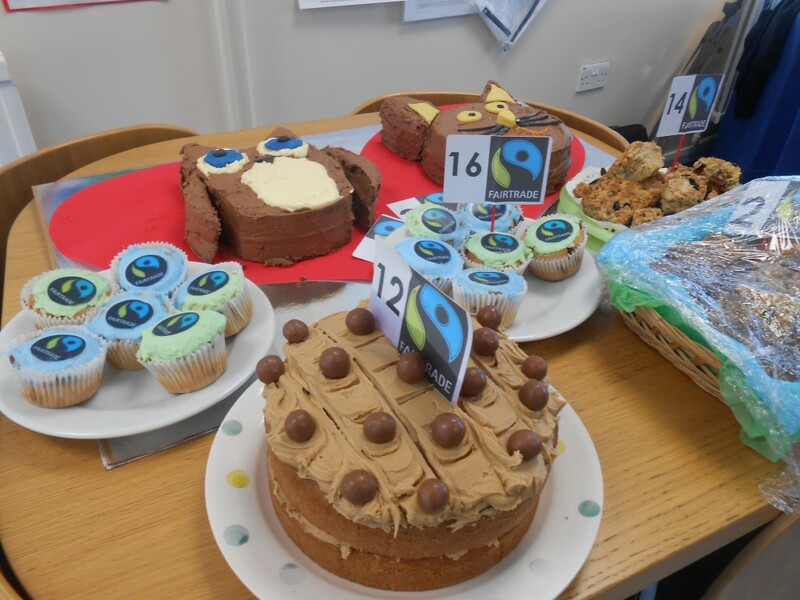 Enter your Fairtrade cake by 12 noon on Friday to be judged by Mrs Moore, our school cook. 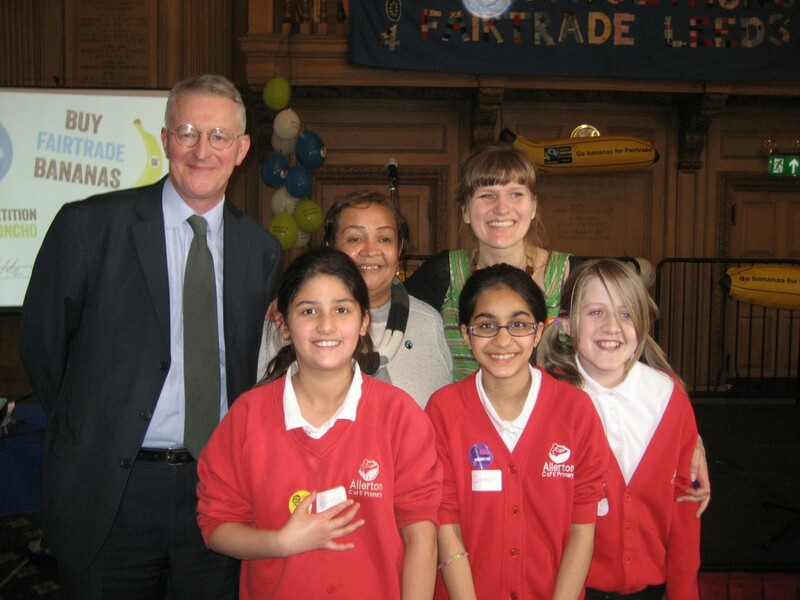 We were lucky to be invited to Leeds Civic Hall for the 10 year celebration of Leeds becoming a Fairtrade City. 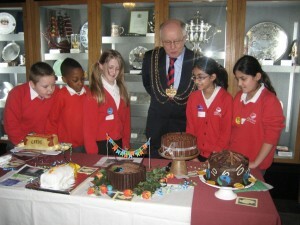 We inspected the cake competition entries with the Lord Mayor and had a photo opportunity with M.P. Hilary Benn. 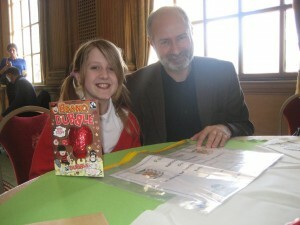 But best of all Erin won the competition to design a birthday card for our cities celebrations. Here she is being congratulated by M.P. 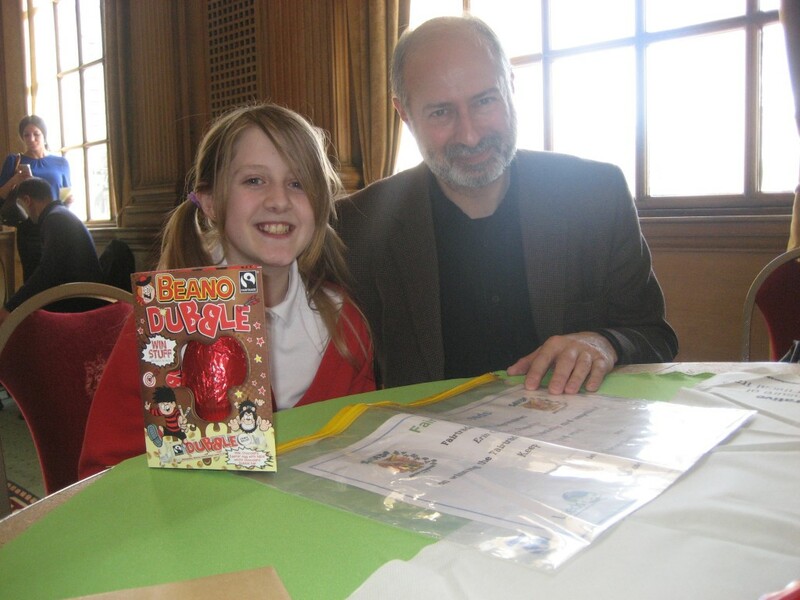 Fabian Hamilton. 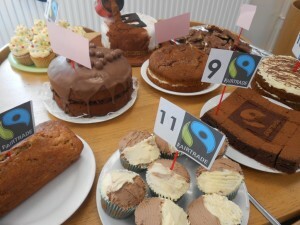 Oh, and I nearly forgot, we had to eat lots of Fairtrade cake. Well it would have been rude to say no when people had put in all that effort! 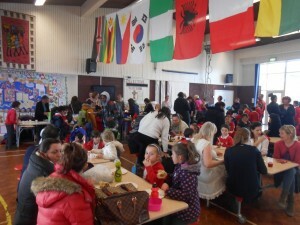 Thank you for a fantastic afternoon! There has been some fantastic learning going on about Fairtrade! 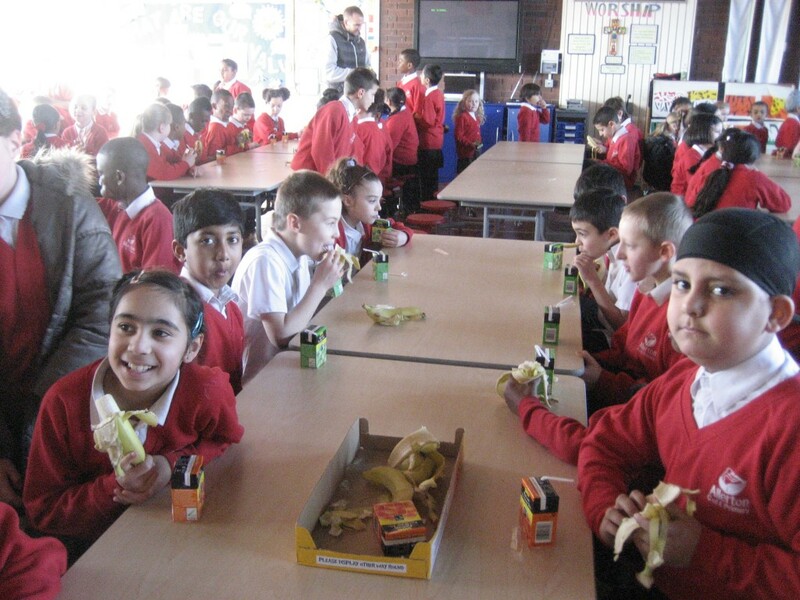 We began Fairtrade Fortnight with a Fairtrade assembly led by our school council. 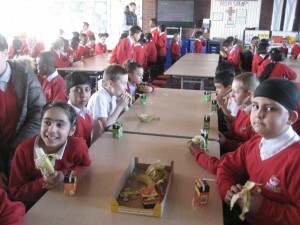 Then on Monday 3rd our whole school enjoyed a Fairtrade breakfast of Fairtrade juice and a Fairtrade banana. 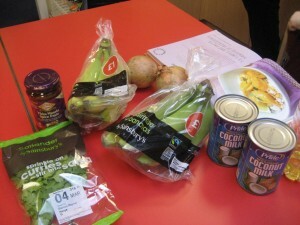 Some children in years 5 and 6 cooked a Fairtrade banana curry. 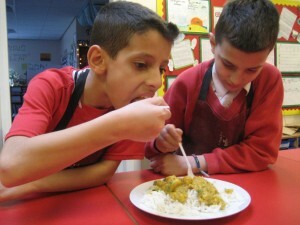 Find the recipe on the year 5/6 blog. 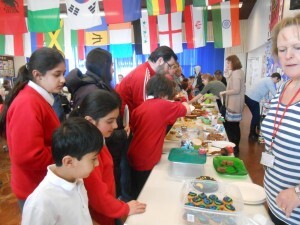 Our Fairtrade Cafe, held in the school hall last Friday, was a great success! Family and friends joined pupils and teachers to enjoy tea and delicious cakes served to us by members of our local churches. Thank you ladies. 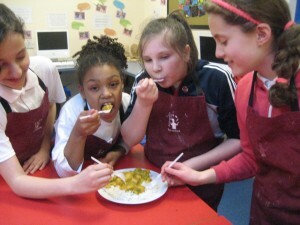 The profit from this event will be split between Traidcraft and our fundraising for our school chickens! 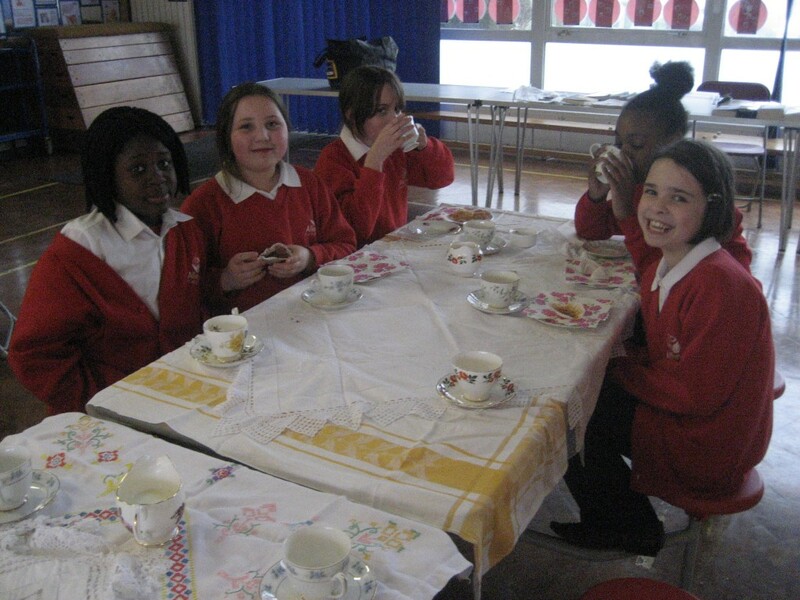 Ladies from year 6 enjoying tea and cake!